Social media is one of the most popular business marketing tools in the world. Thousands of businesses use social media as a way of marketing, advertising and promoting their business for free, to millions of people at one time. However for many small business owners, or those of us that are a little less “techy”, the idea of starting out on social media can be a bit overwhelming. That’s why we’ve started the social media service! 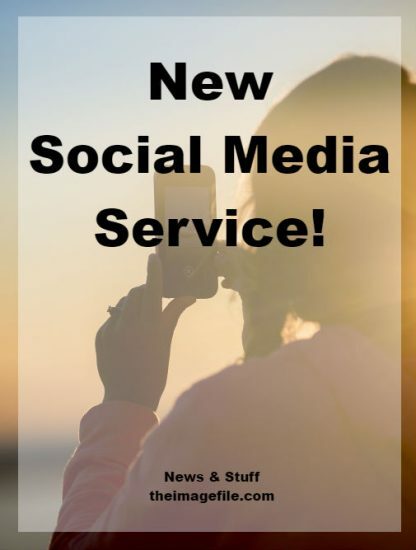 The Social Media Service is designed for everyone, but is mainly focused on those that aren’t very tech confident or perhaps just don’t have time to set up their social media profiles themselves. We will setup of a Facebook business page. Add in your bespoke bio section, business links, contact details, location and call-to-action button. Create personalised branding including a Facebook cover image design and profile image. We will setup a Twitter business page. Add your unique Twitter name, bio section, website link and location. Create personalised branding including a Twitter cover image design and profile image. We will setup a Pinterest business account. Add in website links and tagline. Setup of rich pins which means everything links back to you. Create personalised branding including a profile image and a collage pin to showcase your work. We will setup of an Instagram business account. Add bespoke bio section and website link. Create personalised branding including a profile image and up to four Instagram mini marketing boards for you to showcase your latest offers and services. NOTE: We can also set up a Google+ account, however Google has been talking for some time about phasing Google+ out of their portfolio so therefore we would recommend focusing on the other channels. WILL YOU ADD MY SOCIAL MEDIA TO MY WEBSITE? Yes, once your social media profiles are all set up and branded we will add the appropriate social media icons to your website footer, so everything connects. We can also add in a social media feed to your website if you wish so clients can see your social channels are active and busy. CAN I MAKE CHANGES OR TWEAKS DURING THE PROCESS? Of course you can! This service includes up to two revisions of your personal branding and bio sections so you can make any changes you need. WHAT HAPPENS WHEN IT’S ALL SET UP? Once your social media channels are setup and branded you will receive various PDF downloads via email including a basic tutorial on how to use each new social media platform for your business, and a step-by-step guide to help you produce high-quality content on each social media network by the end of one week. The service costs £90 + VAT regardless of whether you ask for just one social network or all of them. Check out our Social Media Service page and click on the red “let’s go” button. We will be in contact as soon as possible to explain everything you need to know. We have about 400 likes on our facebook page. If you set uo everything for us would we be able to keep those? Yes of course you can keep your 400 likes. If you already have a Facebook page then we would basically do an overhaul of the information, cover image and profile picture. This means updating your bio section, any appropriate links as well as creating personalised branding for your cover and profile image so that it is consistent and in line with your brand.